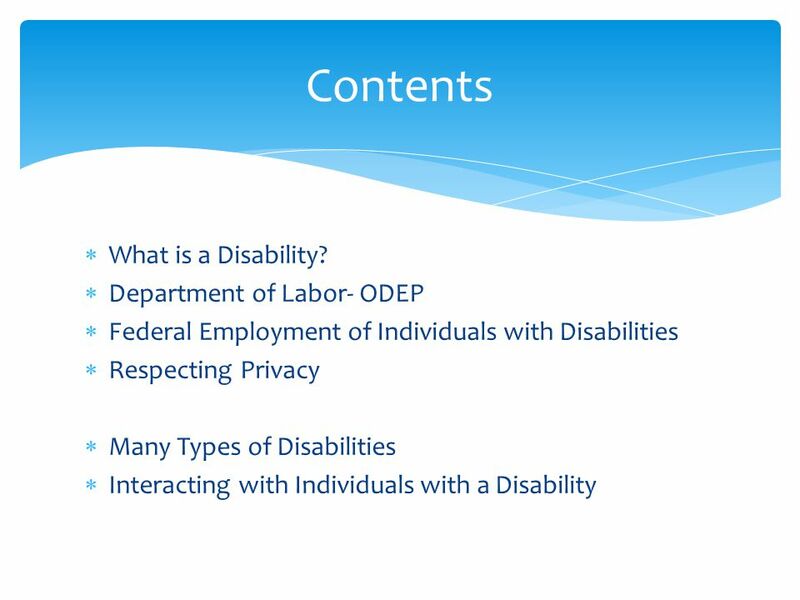 Disability Etiquette, Inclusion, and Hiring Remarks for the National Geodetic Survey (NGS) People Committee by Mario B. Damiani, J.D. 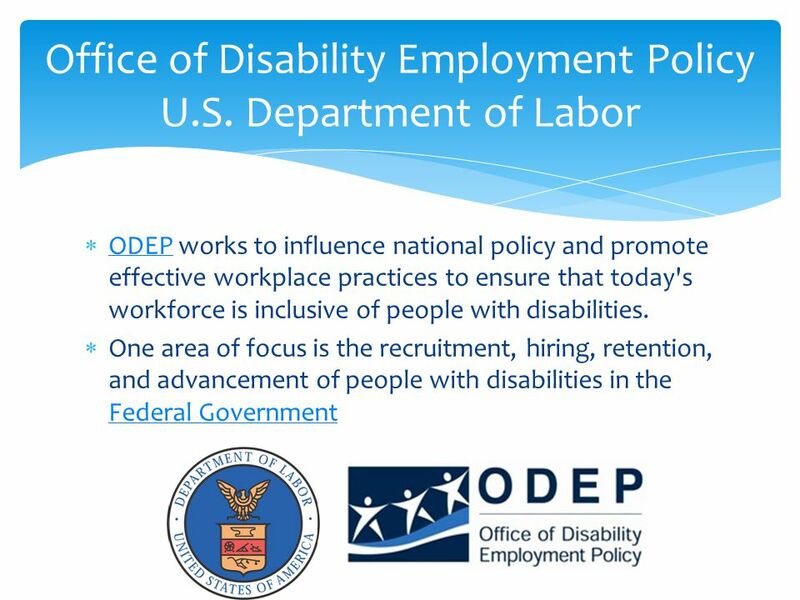 Policy Advisor Office. 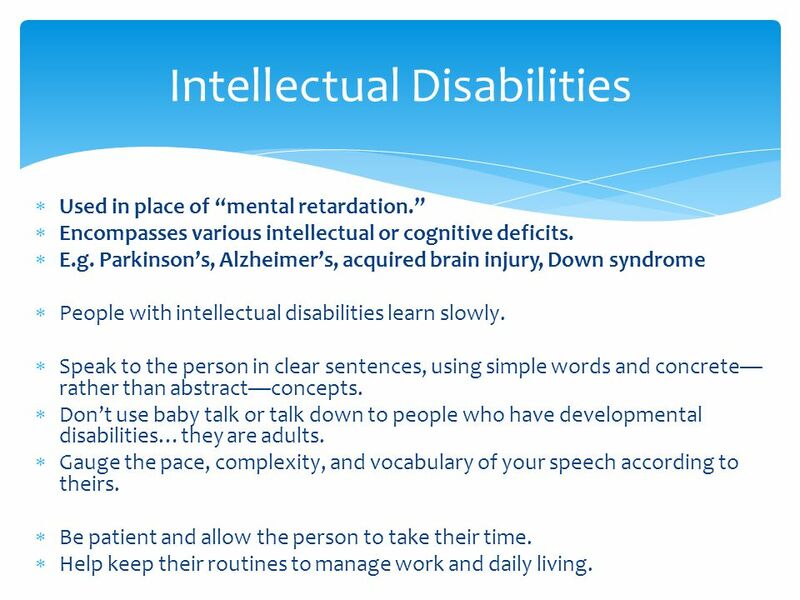 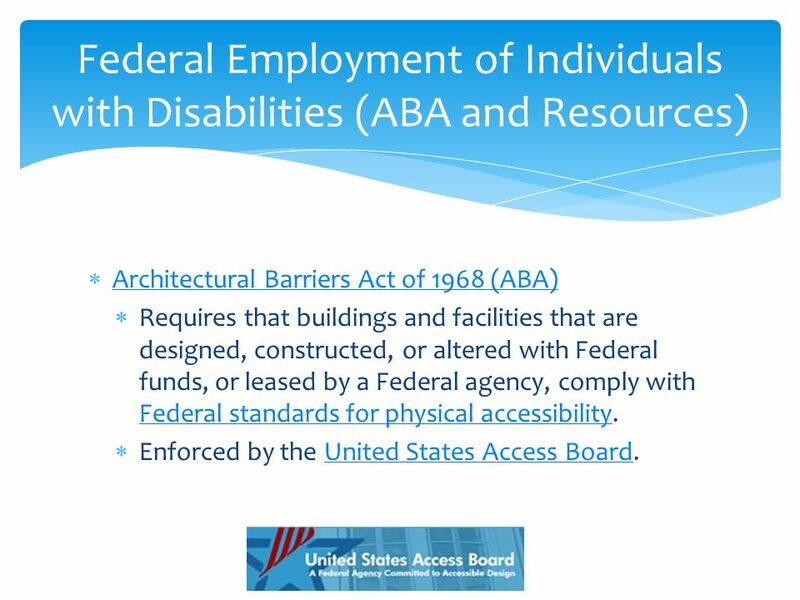 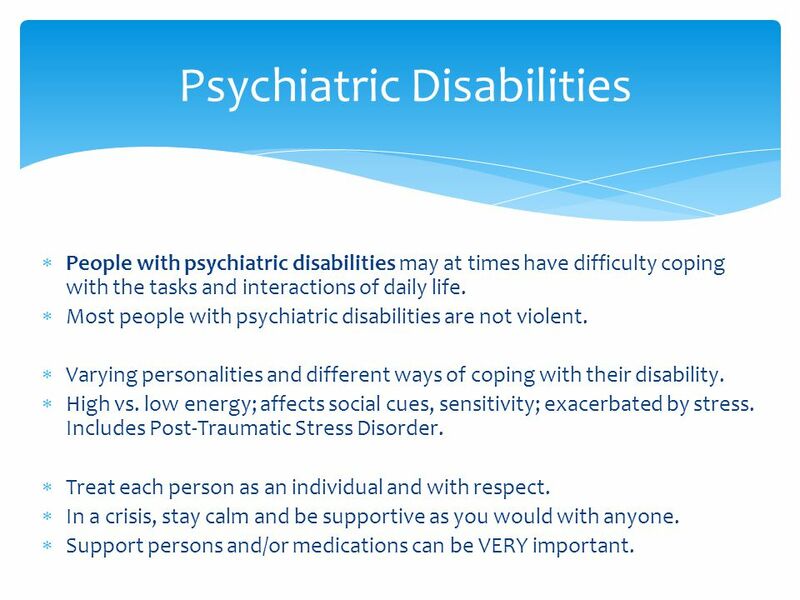 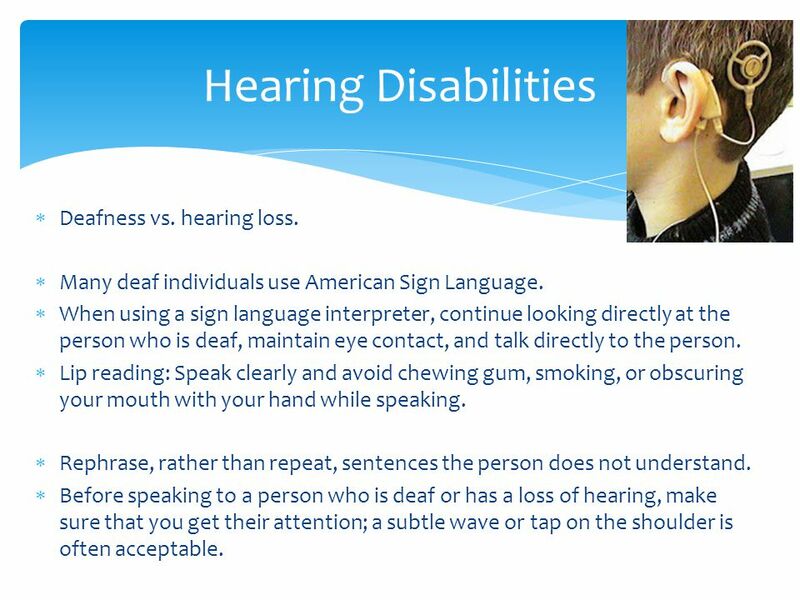 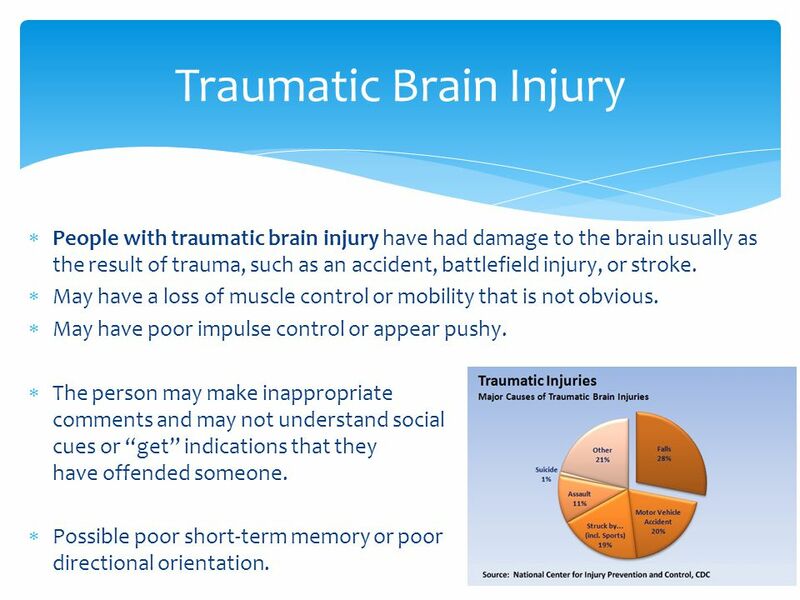 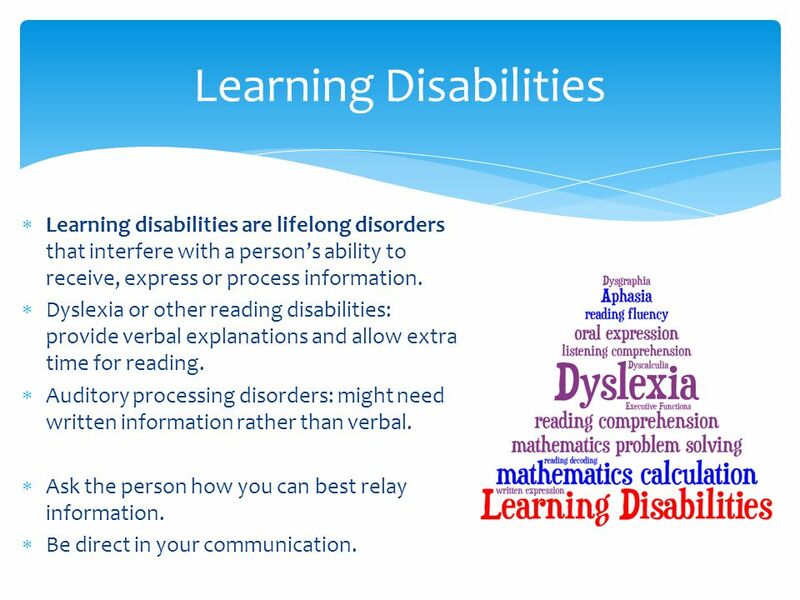 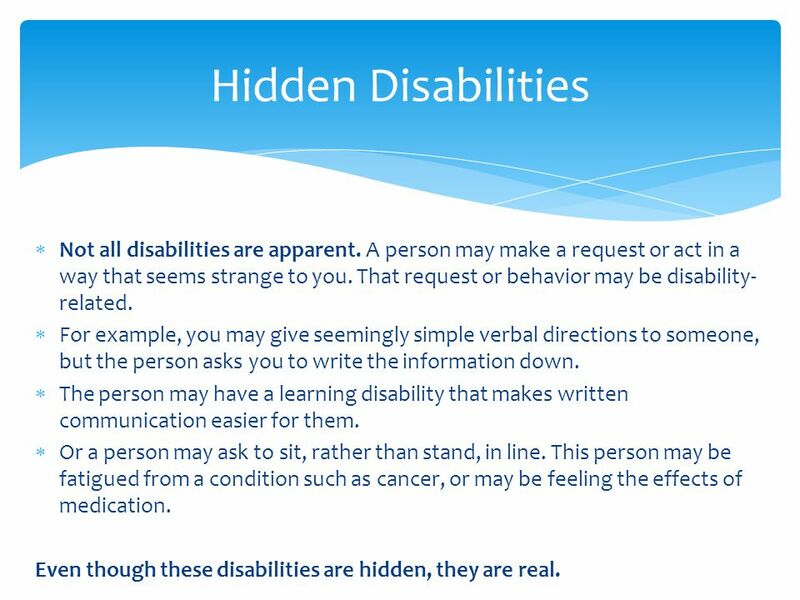 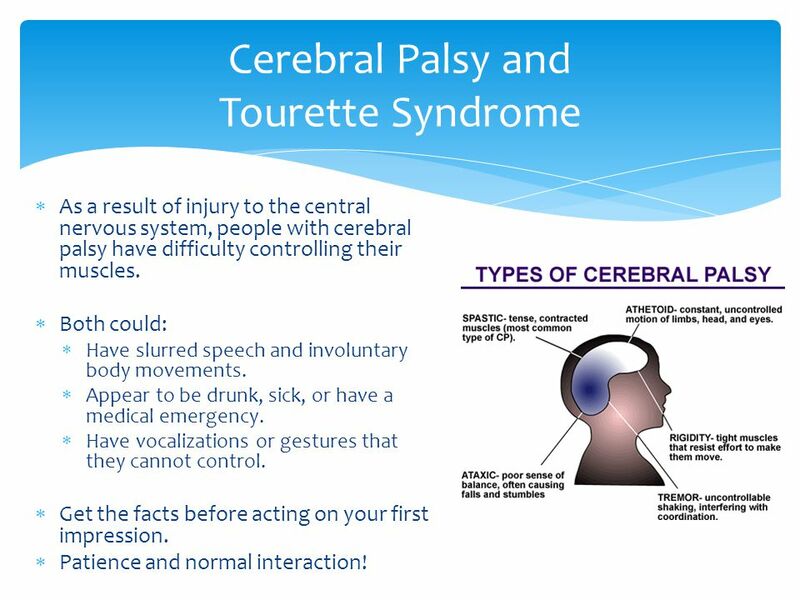 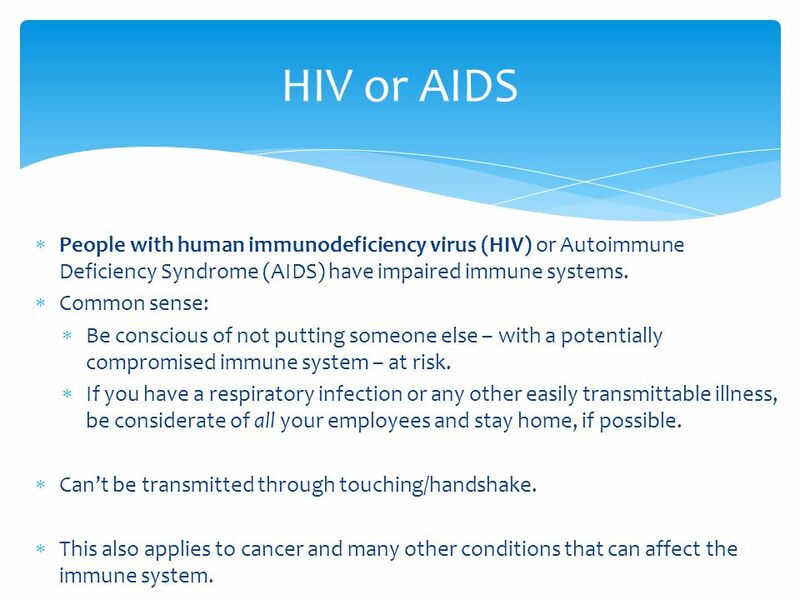 4  A physical or mental impairment that substantially limits one or more major life activities…. 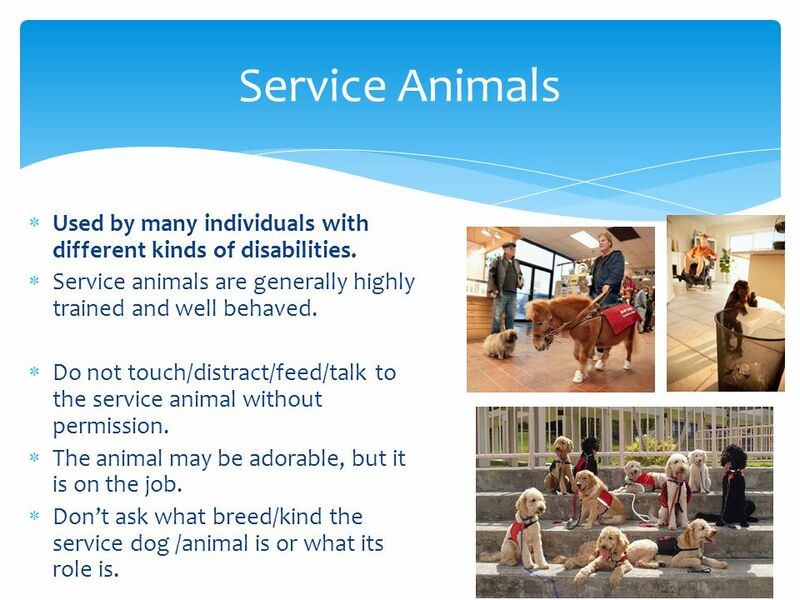  Examples of major life activities: seeing, hearing, eating, sleeping, walking, breathing, speaking, learning, thinking, working, etc…. 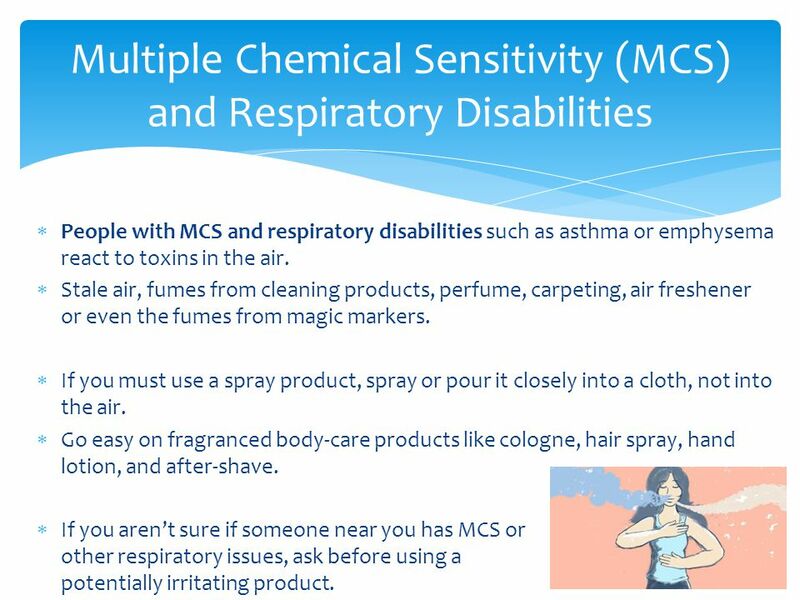  Includes major bodily functions, for example functions of the immune system, normal cell growth, or digestive, circulatory, and reproductive functions, etc…. 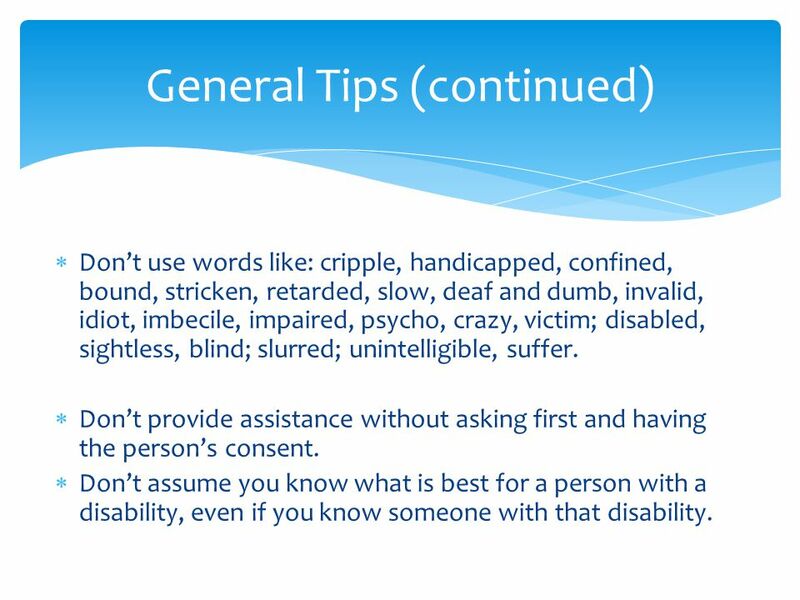  These lists are not exhaustive! 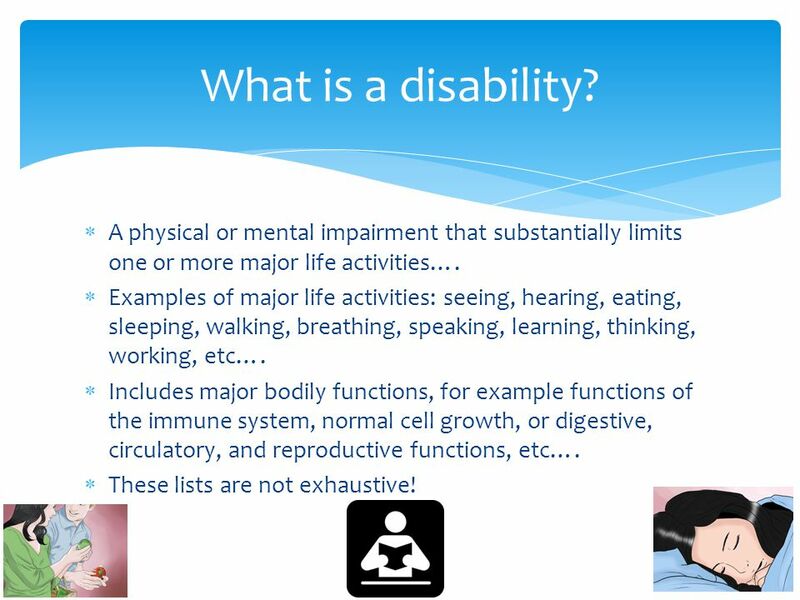 What is a disability? 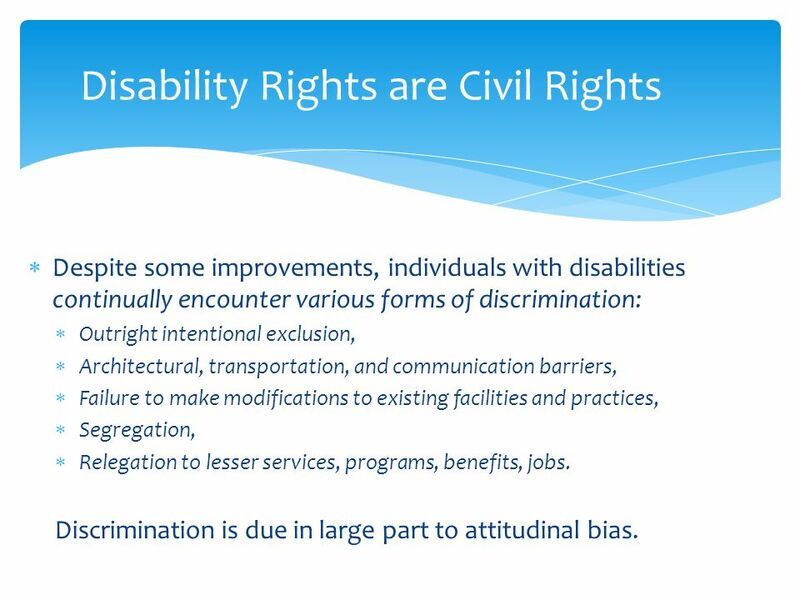 5  In the United States, there are an estimated 56.7 million individuals with disabilities (19%) as of 2010.an estimated 56.7 million  Worldwide, there are an estimated 1 billion+ individuals with disabilities. 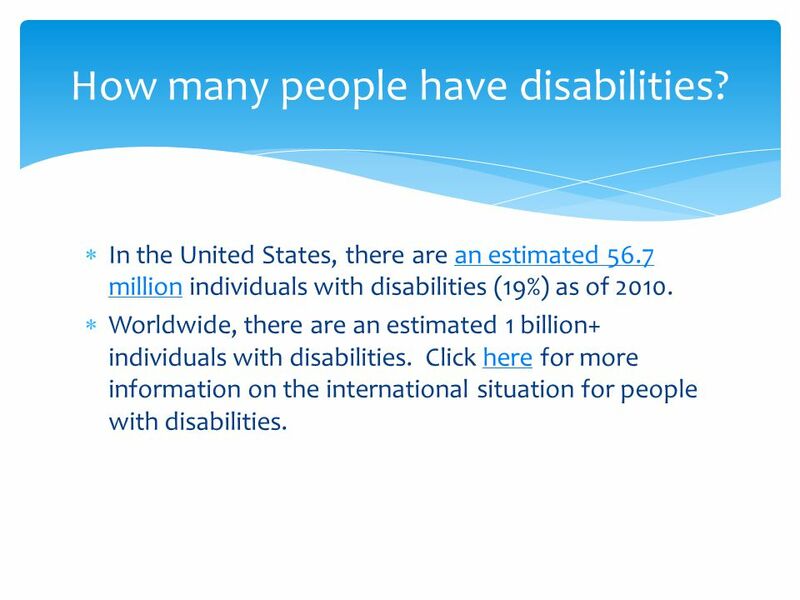 Click here for more information on the international situation for people with disabilities.here How many people have disabilities? 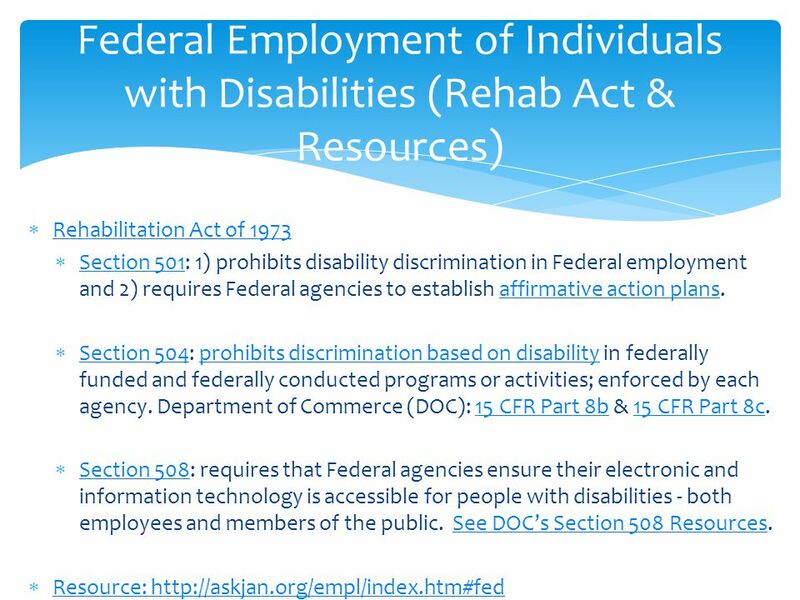 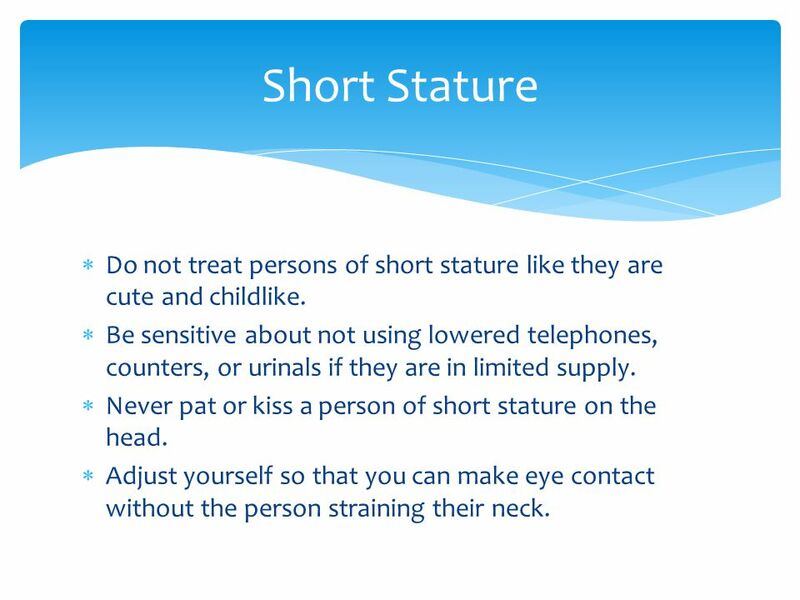 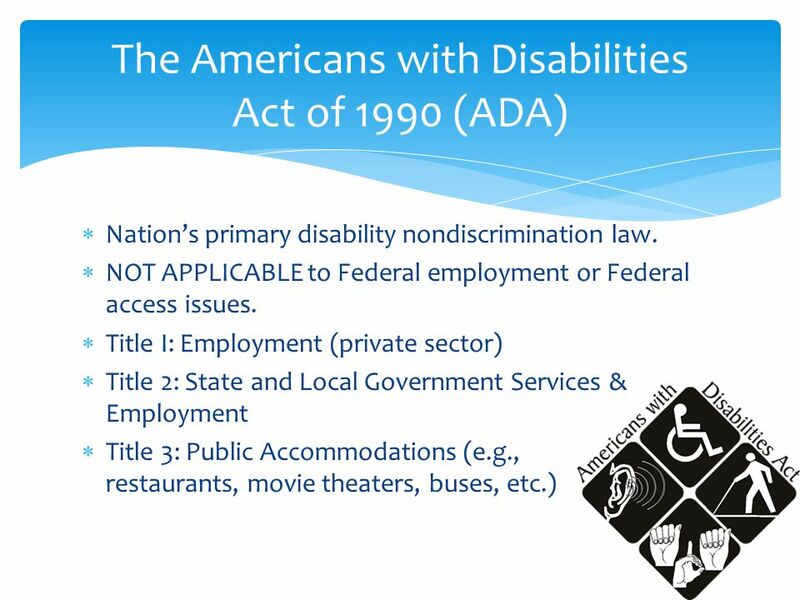 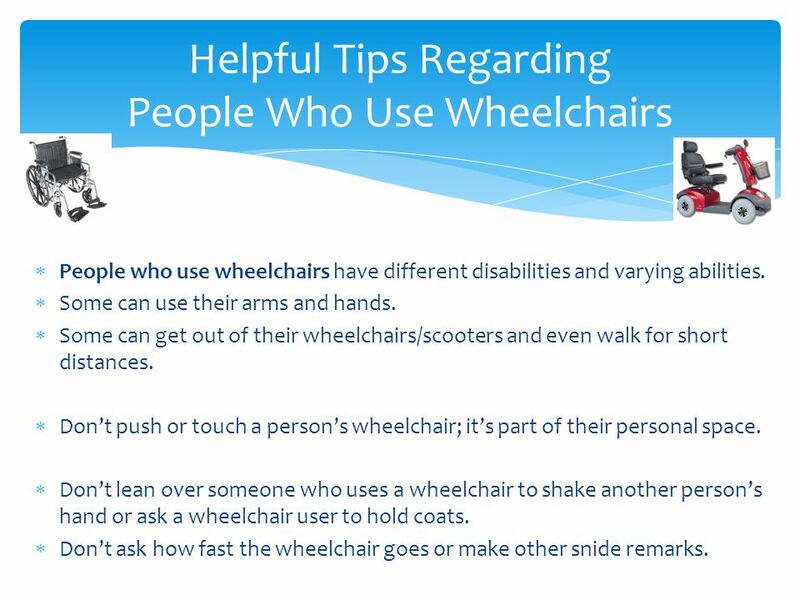 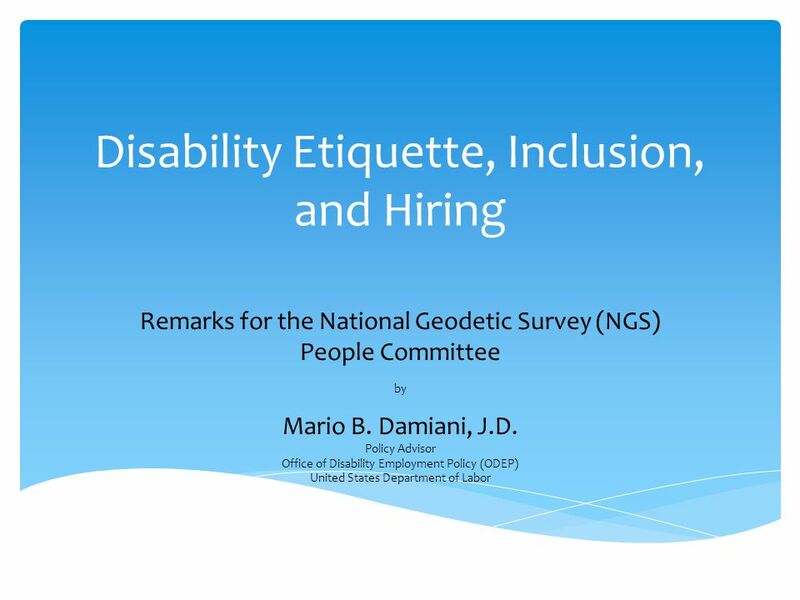 Download ppt "Disability Etiquette, Inclusion, and Hiring Remarks for the National Geodetic Survey (NGS) People Committee by Mario B. Damiani, J.D. 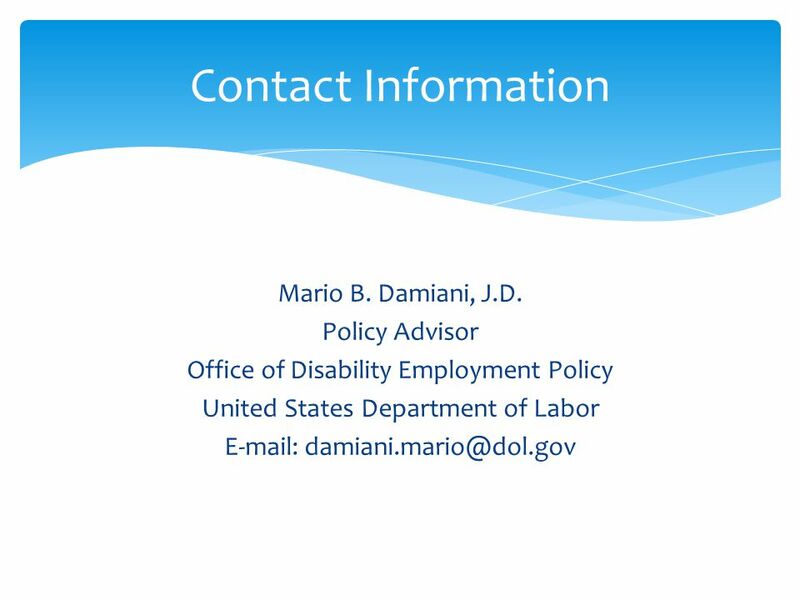 Policy Advisor Office." 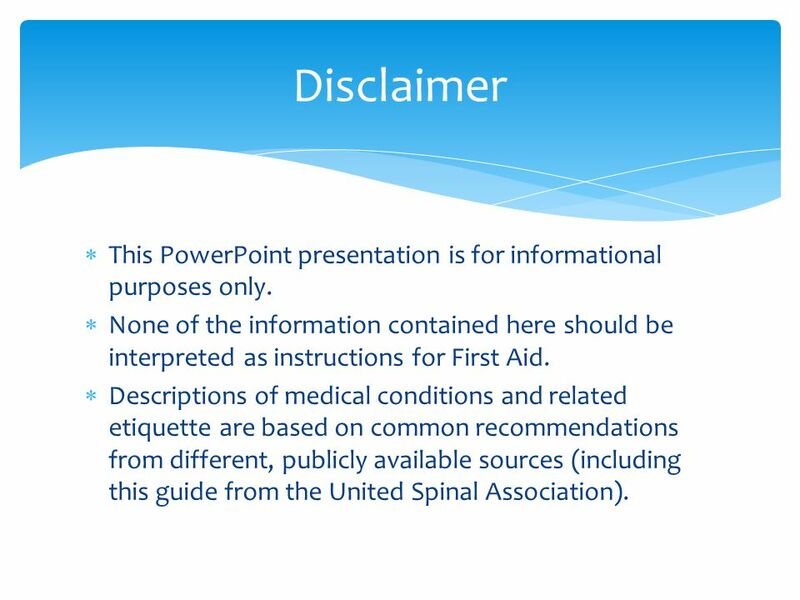 Somerset Public Schools The Section 504 Plan: The Role of the Teacher. 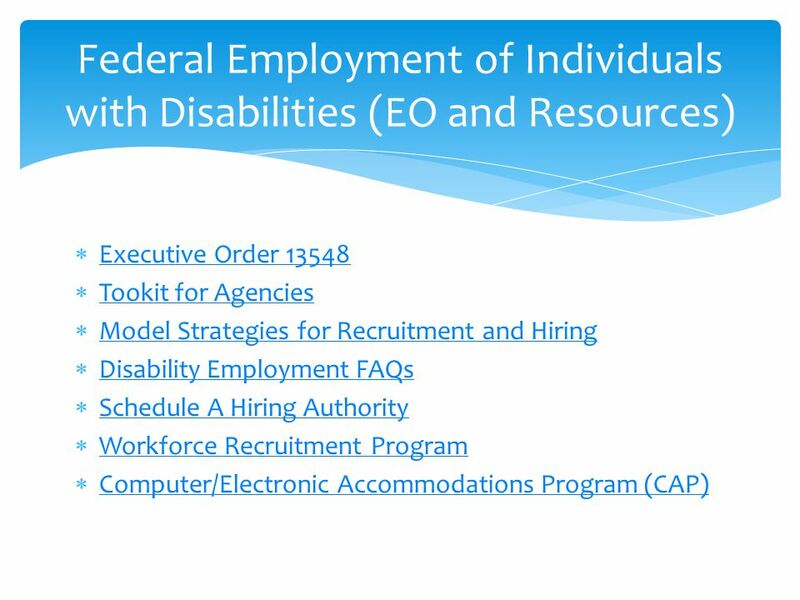 Risk Management Initiative : Americans with Disabilities Act Module Office of the Vice President for Ethics and Compliance Office of the Vice President. 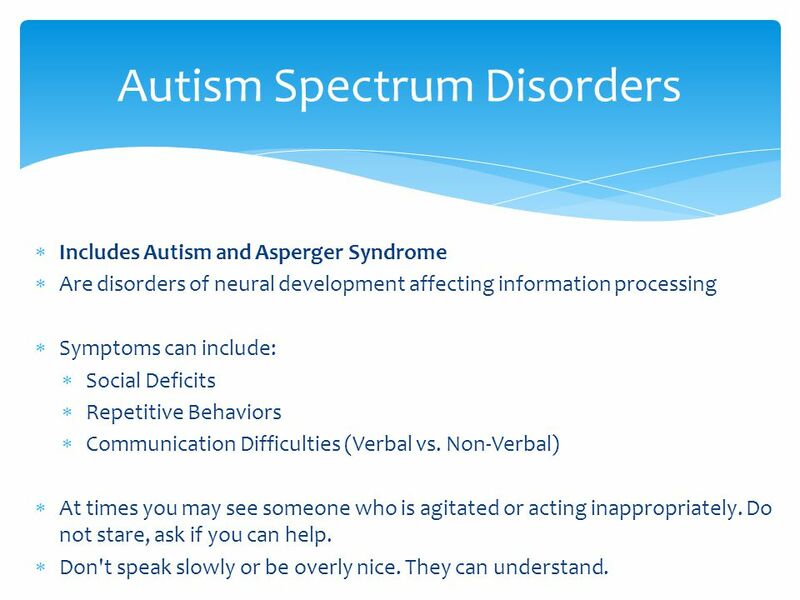 Special Situations and Circumstances Chapter 12 Communicating with an Ill or Injured child  People tend to react more strongly and emotionally to children. 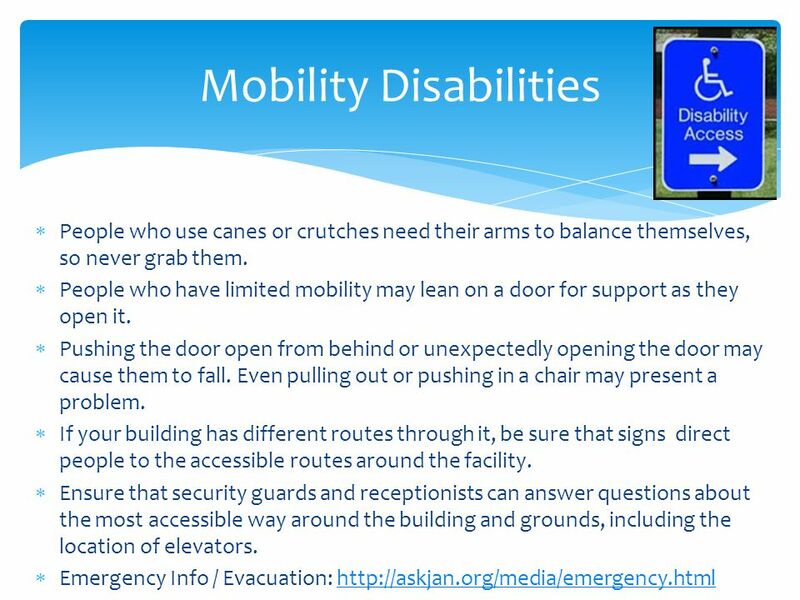 PLANNING FOR INDIVIDUALS WITH DISABILITIES AND OTHER ACCESS AND FUNCTIONAL NEEDS: SPECIAL TOPICS FOR FIRST RESPONDERS. 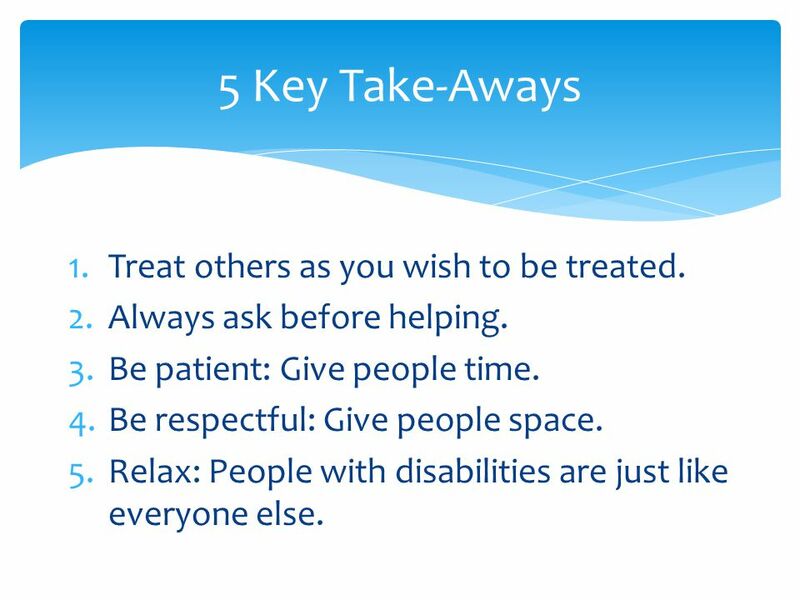 COAST Central Office for Assistive Services & Technology Diversity in the Workplace: Disability Awareness & Etiquette Presented by: Darlene Avery Department. 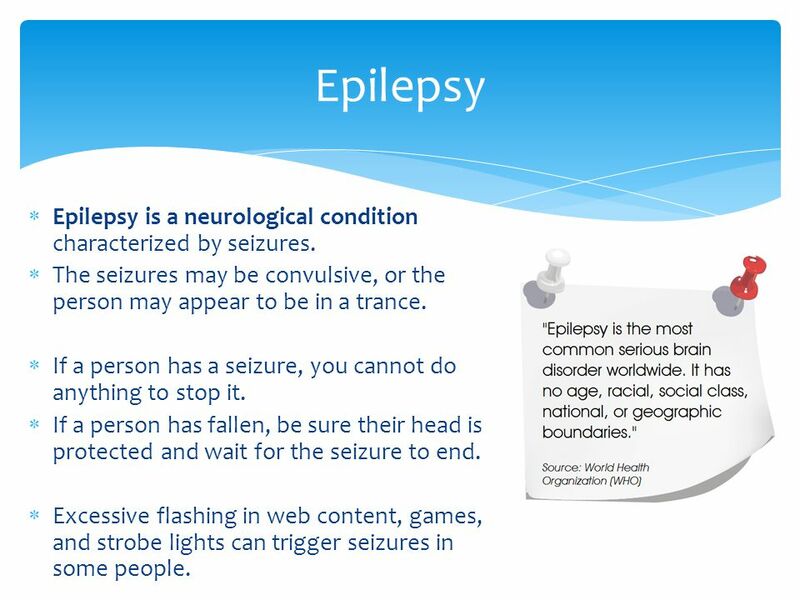 Everything you need to know for managing a student with Seizures and First Aid. 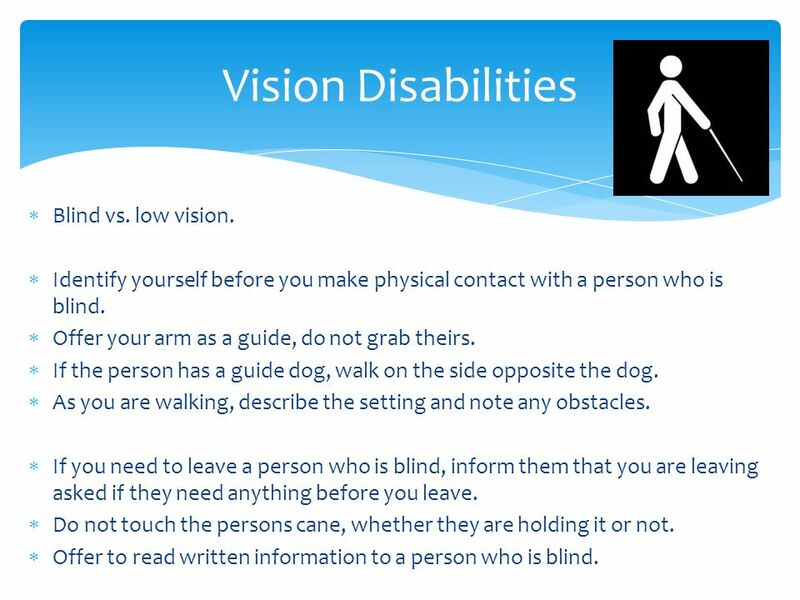 Courtroom Considerations for People with Disabilities NYC Elder Abuse Training Project. 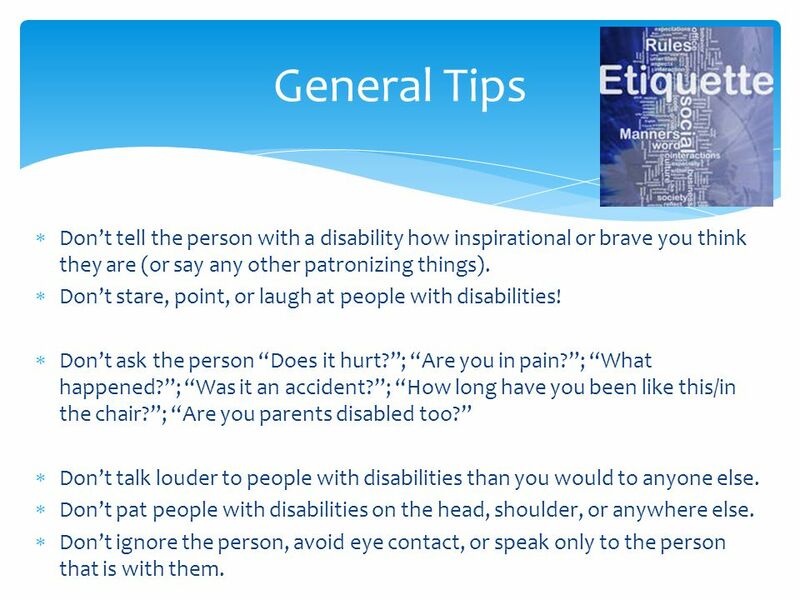 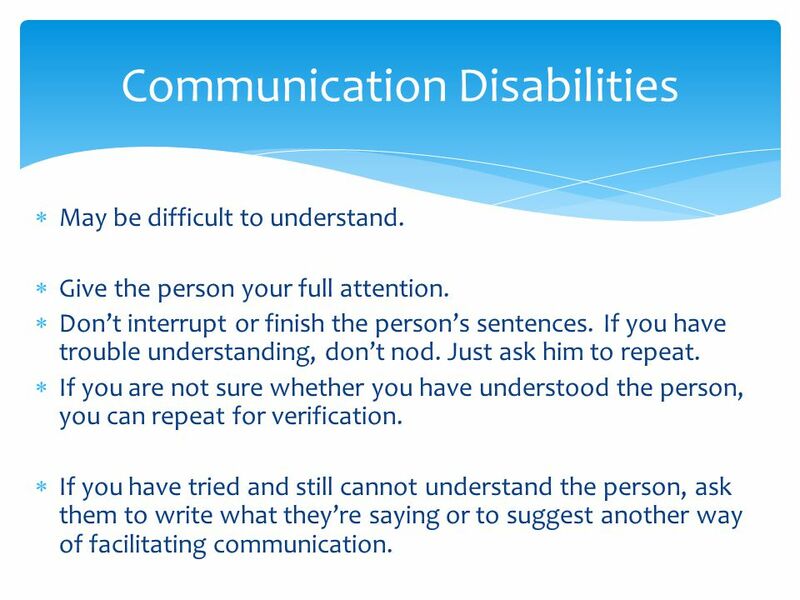 Disability Culture Etiquette & Interaction Employment Services & Innovations Indiana Vocational Rehabilitation Services. 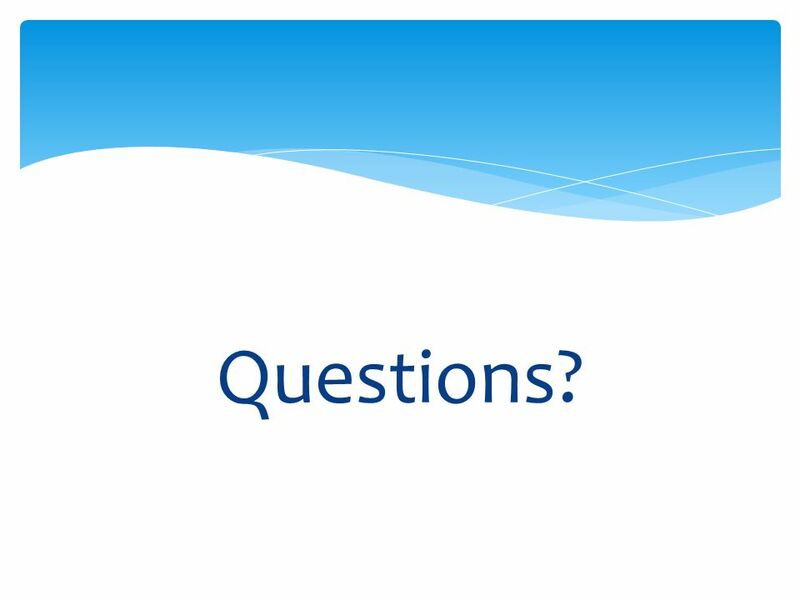 NCI Interviewer Training “… Each person can take you into a new part of the world. 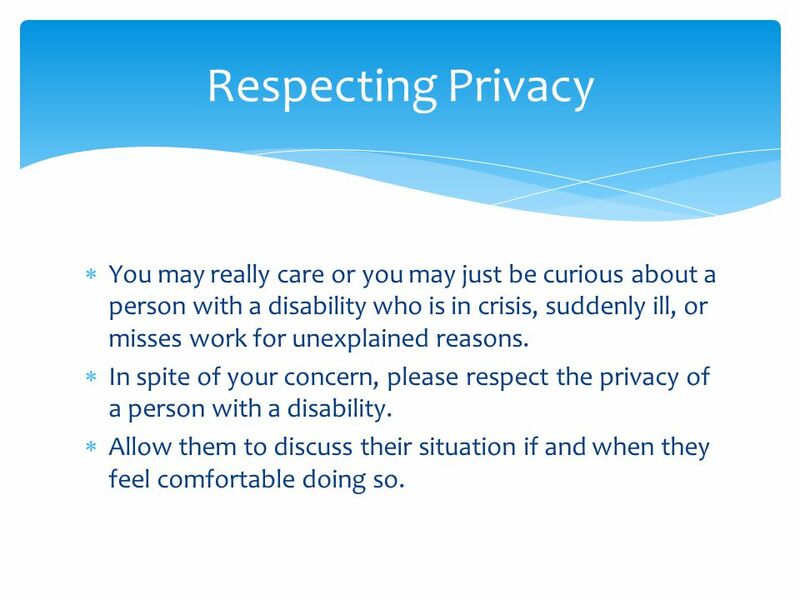 For the person who is willing to ask and listen the world will always.